To address tight and rounded shoulders, something commonly seen in our society, we can use the serratus anterior and middle trapezius to balance and stabilize the shoulders. In our body, muscles work in pairs – one contracts, and opposing one relaxes (i.e. think about how your biceps and triceps work when you bend your elbow). This means that we need to exercise muscles in pairs. In rounded shoulders, you can feel your serratus anterior (side rib, pulls scapulas forward) by creating a big bear hug action; you can feel your mid trapezius (middle of shoulder blades) by bending your elbows at side and squeeze your shoulders together. To realign back to a neutral shoulder, we need to work out tension in the serratus and strengthen the trapezius. Lie flat on the floor on your stomach. Your arms should be in front of you, with your elbows just in front of the shoulders. Widen your legs mat width. Squeeze your buttocks together and press into the floor. Lift up in your chest and bend your elbows to clasp each elbow with the opposite palm. Tuck in your chin and gently rest your forehead on your arms. Reposition your body if you need to for comfort. Hold the pose for several breaths and release on an exhale. 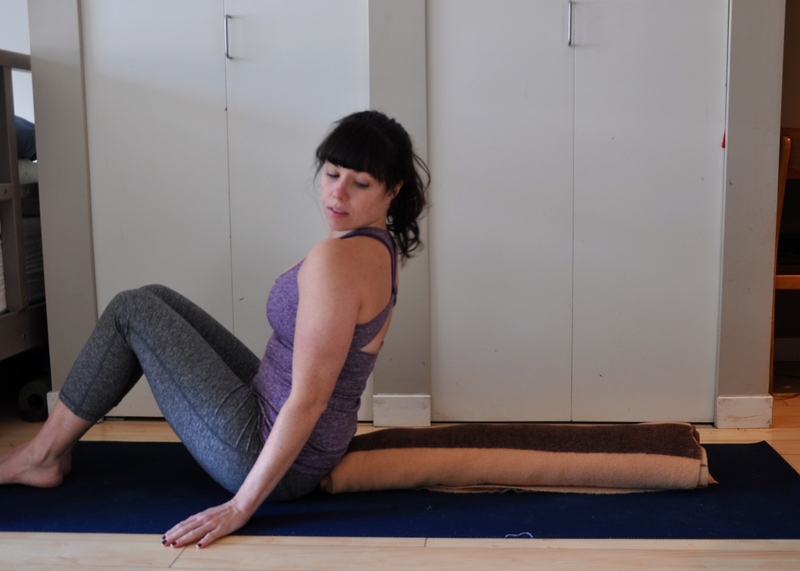 Place a rolled up blanket lengthwise along your mat. 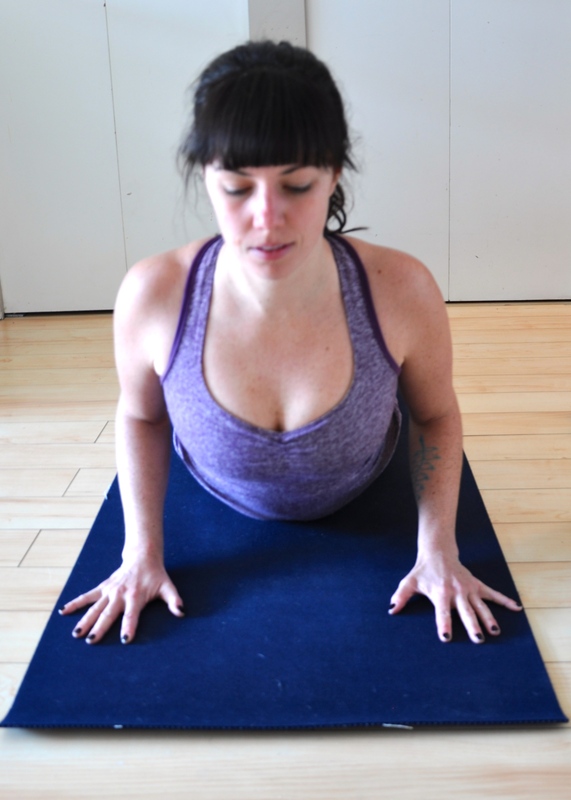 Place your hips and lay your spine along the rolled up blanket to open your chest. Bend your elbows and place the back of your palms on the ground (“cactus”). Starts on your hands and knees and lift up into downward dog (see “Teaching an old (downward) dog new tricks” for more instructions). Open up front of armpits, press through pad of index fingers, draw your belly in, life through sits bones, ease through side ribs, slide your shoulders down your back, relax your neck (I need to relax my neck in this picture!) and jaw. 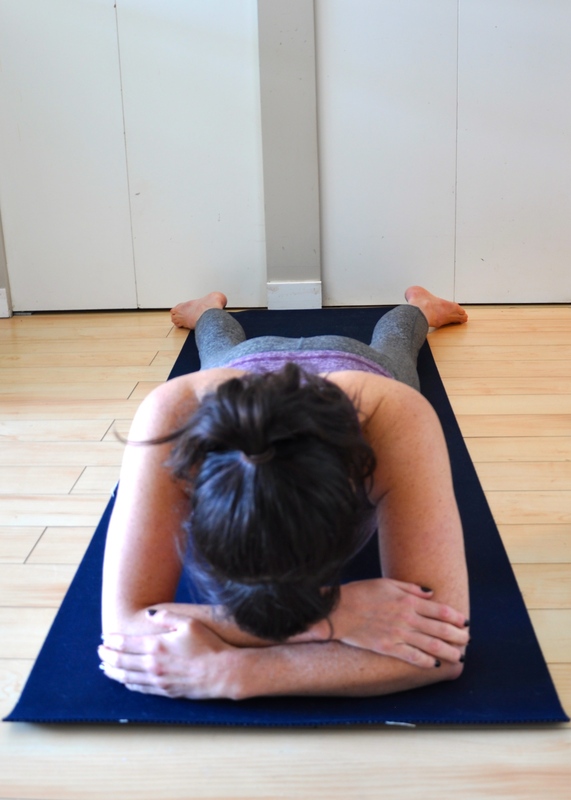 Lie face down on the floor on a yoga mat with your palms flat, placed beneath your shoulders. The tops of your feet should be flat on the floor. Engage your abs by tilting your pelvis and drawing your belly button toward your spine to protect your lower back. Spread your fingers and press your palms into the floor. Rotate your shoulders back and down – away from your ears. Push your upper body off the floor and straighten your arms as much as is comfortable while keeping your hips, legs and feet planted on the mat. Lie on your back with your knees bent and feet on the floor. Extend your arms along the floor, palms flat. Roll your shoulders back and underneath your body and bend your elbows to 90degrees. Press your feet and back of upper arms firmly into the floor. Exhale as you lift your hips toward the ceiling. Draw your tailbone toward your pubic bone, holding your buttocks off the floor. Keep your thighs and feet parallel and press your weight evenly across all four corners of both feet. 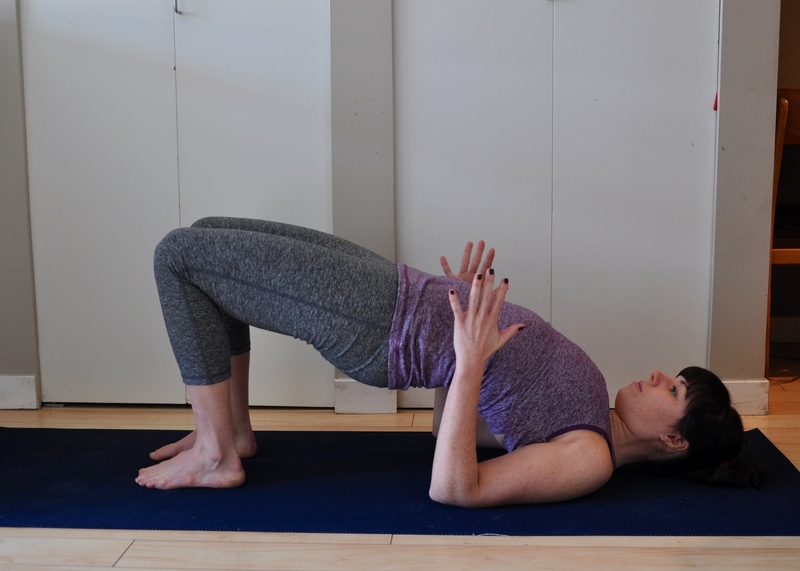 Lengthen your tailbone toward the backs of your knees. Regular practice will help strengthen and stretch those muscles (traps, serratus) to help you greet the world with a more open chest, deeper breath and fuller heart. much love. 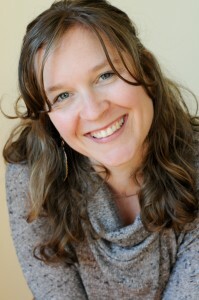 For more info, watch “Trapezius and Serratus Anterior” by Sara Guglielmi on Yoga Internation. i had another amazing workshop with the lovely Jay Fields (see earlier post on standing stronger & softer) at Trinity Yoga Centre. 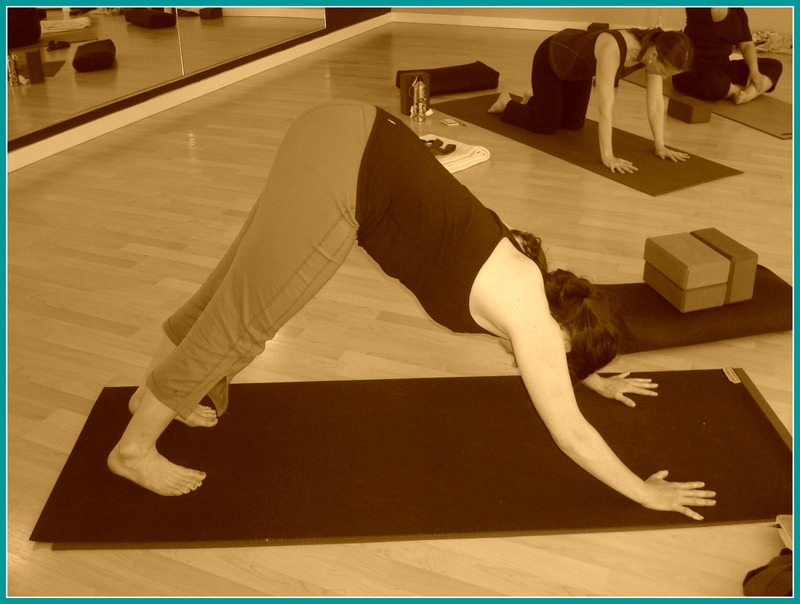 This session focused on Downward Dog… a pose commonly used to visualize hatha yoga. 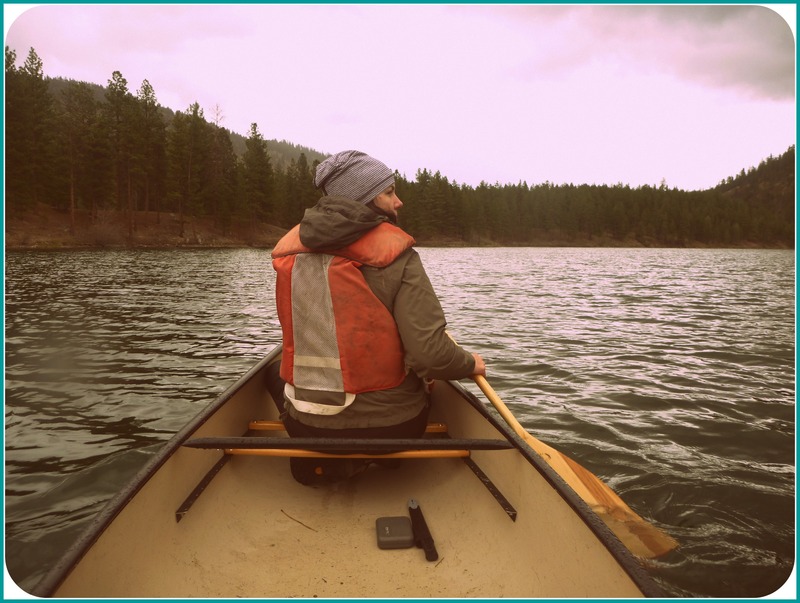 It was an opportunity to explore the shoulder girdle, psoas, muscle of the lower legs and feet – and generally feel the interconnectedness of the body. It’s amazing to stretch the bottom of your feet and see it translate to spaciousness in your downward dog! One aspect that resonated with me was the feeling of “intimacy with your posture”… the more you are intimate with someone, the more you love ALL their parts. This translates to your yoga practice as well, the more you “get to know” your posture, the more you begin to love the softness and openness, as well as the struggles. the shoulder girdle is amazing in that the clavicle, scapula and humerus are only connected to the axial skeleton (spine) at the sternum! and what do you think happens when we have a stress-response… we hunch forward to find/protect that stable spot. we explored “putting our girdle on” or creating a stable shoulder, as well as stretching the wrist and forearms (which Jay so warmly referred to as “throwup series” because of the intense stretch and nerves) and lower legs (which, surprisingly, impact your downward dog more than you would think). so, i put my “girdle on”, firmly planted my hands/fingers, softened my hip flexors, engaged core, moved inner thighs back, and released my heels towards floor… what do you think? thank you Jay for, again, bringing more openness to my yoga practice. can’t wait to see you again in the fall! much love.